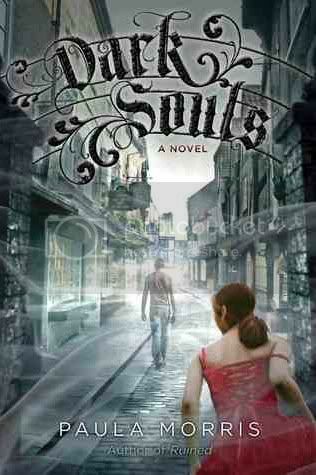 Dark Souls is the second book that I’ve read and enjoyed by Paula Morris. I had been eyeing this book for a quite some time, and I was so very excited to be able to read and review the book. I haven’t read many ghost stories; and I found this one to be a very interesting read. The main character in the story is Miranda. I found her to be a very likeable character. She was far from perfect; she has issues and is a bit of an introvert. I was able to connect with her character, because I am the same way. Her and her brother, Rob, who also had issues, go through a very traumatic event early in the book. This event deeply affects each of them, but each in a different way. While in York, Miranda meets Nick. I’m still on the fence about Nick. He was a very troubled soul. I didn’t really connect with him, but I think it was because we really didn’t see him enough in the book. I did find myself feeling a bit bad for him towards the end of the book. I enjoyed the setting in the book very much. I thought the author did a good job in describing York and the places in it. All of the background information about the town was very interesting as well, and I was very glad the author included it in the book. It made the setting feel more real to me. The plot was very intriguing, and the writing was easy to follow. The book had me guessing in quite a few areas. Overall, this was a really interesting, quick read that I really enjoyed! I am definitely looking forward to reading more books by Ms. Morris, she’s a great storyteller. omg i cant wait to have my copy of this book. I love Paula Morris. I have yet to read anything by Paula Morris, but this one sounds really good! I LOVE the cover! It is so gorgeous and super creepy at the same time! I've been eyeing this book forever! I want to read it even more now. Your review was very vague (probably because of spoilers) so I'm incrediably curious. I haven't read anything by Paula Morris either. Need to look up her previous book. I am so pleased to read this is good. I loved Ruined! One of my favourite reads ever. I haven't read anything by her yet -- but she's now on my radar, thanks to you. This story sounds great. Lovely review! Sounds like a love triangle...I'm really tired of those but I am intrigued by the ghosts. I really want to read a few "ghost" books. I didn't realise this one was that short, but I've been curious about it since I saw it pop up awhile ago on another blog. I really enjoy reading books set in other locations, it just adds to the mystique of the story. I really liked Ruined. I read it the longest time ago, back when I wasn't even blogging. I'm definitely ordering myself a copy of this one! Great review! I think Paula Morris does a great job of describing her settings. I enjoyed Ruined a lot.